J Crew Valentina patent d’Orsay pumps are currently available at regular price in acropolis blue, black, dark wisteria and soft desert. Bright persimmon, burnished rust and manchester grey are on sale for $169.99 online. Size 8 – Per usual, taking my “J Crew size” of 8, instead of my retail shoe size of 7.5. I am sometimes 8 in other brands, for the records. My left foot is a little bigger than the right one and sometimes it pushes me to 8. As I said and always say, I’m consistently an 8 in J Crew shoes with the exception of the Ceces and Darbys. A good description of the style on About.com: A d’Orsay style pump…the vamp of the shoe is cut away very close to the toe box, and the sides are cut away, revealing the arch of the foot. The grey is perfect. It’s on the lighter side, so you an really tell it’s grey. The pics may look like they have a bluish cast, but they are grey-grey irl. Blues and navys would definitely look nice w/the color. There’s that cutout vamp. I usually don’t like a pointy shoe because I don’t want to look like I’m on skis. These work, though. The cut looks really nice under trousers. I’ve been looking at the antiqued floral top ($99.99), but I don’t think the neckline would be flattering. How cute would the print be with the Martinas in burnished rust or dark wisteria. Here’s a pic of the bright persimmon Valentinas. I got these in early 2013. The Valentinas aren’t the most comfortable shoes. I have to use to get them shoe stretcher spray to give a little. I spray a little of it on the upper inside and then wear the shoe. That helps. If that doesn’t give enough stretch, then I do the spray & a wooden shoe stretcher overnite. A JCA recommended putting half soles on the bottom, which I did. I think it made a difference in the solid leather black ones I have. I don’t own, but did review the black patent Valentinas in this post. 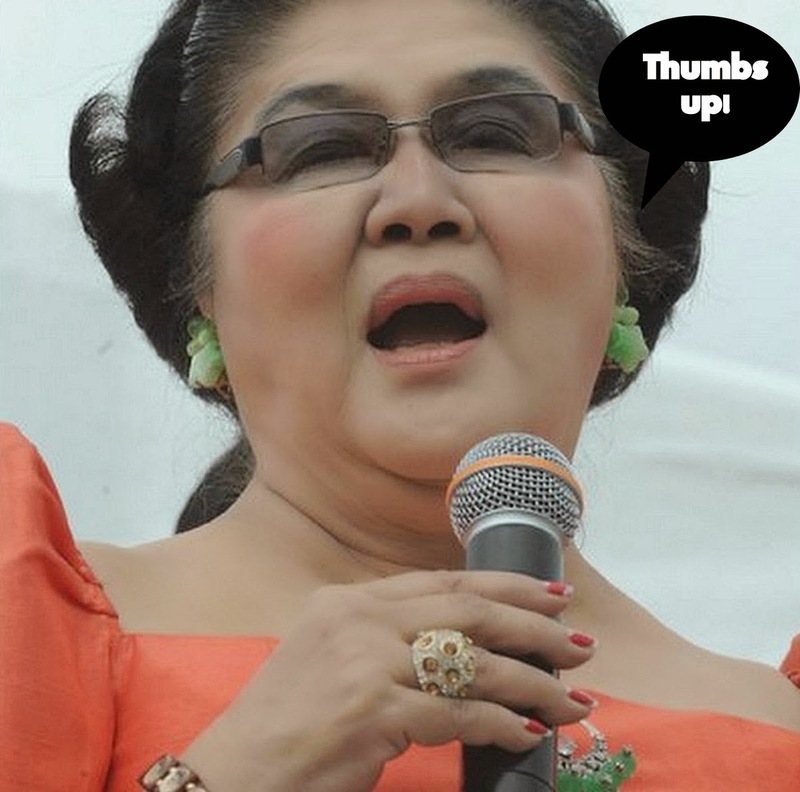 Darn you Gigi/Imelda! I love these but weirdly found the Valentina's run a half size small for me. My normal size of 7 fíat but tu 6 1/2 fit better without an insert. 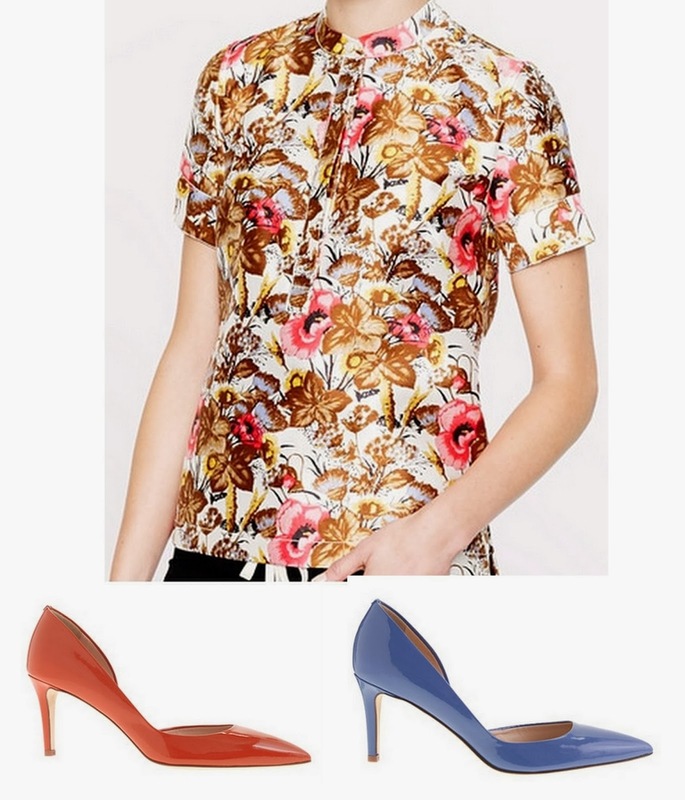 I am gong to pass (for now) on these but only because I have the Zara heel aka Vince look-alike in Gray. Ok, so apparently I was on the Spanish keyboard and "fiat but tu" is "fit but the". Needed to put you this bit of observation to give many thanks again just for the beautiful secrets you have provided at this time. It has been incredibly open-handed with you to make unhampered precisely what most people could have distributed for an electronic book to make some dough for their own end, notably seeing that you might have done it if you decided. The inspiring ideas likewise served like the fantastic way to fully grasp most people have the identical dreams really like my own to see somewhat more with respect to this problem. Certainly there are a lot more pleasurable moments up front for those who discover your blog post. This internet web-site is seriously a walk-through for all of the information you wanted about this and didn’t know who to ask. Glimpse here, and you’ll absolutely discover it. Can I just say what a relief to find someone who basically knows what theyre talking about on the net. You definitely know tips on how to bring an issue to light and make it essential. Much more people ought to read this and comprehend this side of the story. I cant think youre not more favorite mainly because you definitely have the gift. Great – I should definitely pronounce, impressed with your web site. I had no trouble navigating through all the tabs as well as related information ended up being truly simple to do to access. I recently found what I hoped for before you know it at all. Reasonably unusual. Is likely to appreciate it for those who add forums or something, web site theme . a tones way for your client to communicate. Nice task.. Simply wish to say your article is as astounding. The clarity in your post is simply excellent and i can assume you’re an expert on this subject. Well with your permission let me to grab your RSS feed to keep up to date with forthcoming post. Thanks a million and please continue the gratifying work. I just want to mention I am all new to blogs and absolutely liked this web page. Very likely I’m want to bookmark your website . You absolutely come with fantastic well written articles. Thank you for revealing your website. I simply want to say I am very new to weblog and certainly enjoyed you’re page. More than likely I’m going to bookmark your blog . You certainly have impressive posts. With thanks for sharing your web site. I simply want to tell you that I am newbie to blogging and definitely loved your web-site. Very likely I’m want to bookmark your blog . You amazingly have perfect articles and reviews. Thanks a lot for sharing with us your blog. I simply want to say I’m new to blogging and site-building and seriously savored you’re blog. Likely I’m want to bookmark your blog . You definitely come with awesome articles and reviews. With thanks for sharing with us your blog site. I simply want to say I am just very new to blogs and honestly enjoyed this web-site. Likely I’m likely to bookmark your blog . You surely have superb articles. With thanks for sharing your blog site. I simply want to mention I am just all new to blogging and site-building and really savored this blog site. Probably I’m planning to bookmark your blog . You really come with tremendous articles and reviews. Regards for revealing your web page. I just want to mention I’m newbie to blogging and definitely loved you’re blog site. Most likely I’m going to bookmark your blog post . You certainly have really good article content. Bless you for revealing your website page. I precisely had to say thanks yet again. I’m not certain what I would’ve worked on without the actual aspects provided by you concerning such a situation. This was the frightening scenario in my view, but taking a look at your professional strategy you solved it made me to weep over joy. I am grateful for this work and wish you comprehend what an amazing job your are putting in educating people through the use of a web site. I’m certain you have never encountered all of us. I just want to say I am just beginner to blogging and site-building and actually enjoyed this web site. Most likely I’m likely to bookmark your blog post . You surely come with amazing posts. Thanks a bunch for sharing with us your webpage. I just want to mention I am very new to blogging and site-building and certainly liked your blog site. Almost certainly I’m going to bookmark your site . You actually have excellent well written articles. Thanks a lot for revealing your webpage. Whats Taking place i am new to this, I stumbled upon this I have discovered It positively helpful and it has helped me out loads. I hope to give a contribution & help other customers like its helped me. Good job. Thanks a lot for sharing this with all of us you really know what you are speaking approximately! Bookmarked. Kindly also talk over with my web site =). We will have a link exchange contract between us! I simply want to tell you that I am just new to blogging and site-building and really savored you’re blog site. Likely I’m likely to bookmark your blog post . You really come with impressive articles and reviews. Bless you for sharing your web site. I just want to say I am just very new to blogs and seriously loved your web blog. More than likely I’m going to bookmark your website . You definitely have tremendous stories. Many thanks for sharing your web page. Hello there, I found your site by the use of Google whilst searching for a related topic, your web site got here up, it appears great. I have bookmarked it in my google bookmarks. magnificent points altogether, you simply received a brand new reader. What may you suggest in regards to your publish that you simply made a few days ago? Any positive? There is evidently a bundle to realize about this. I feel you made various good points in features also. I have recently started a web site, the info you offer on this site has helped me greatly. Thanks for all of your time & work. “The very ink with which history is written is merely fluid prejudice.” by Mark Twain. I have learn some excellent stuff here. Definitely price bookmarking for revisiting. I wonder how so much attempt you set to make this sort of great informative site. Definitely, what a splendid site and enlightening posts, I surely will bookmark your website.Have an awsome day! I am no longer certain the place you are getting your info, but good topic. I needs to spend some time studying more or working out more. Thanks for fantastic info I used to be on the lookout for this information for my mission. You can certainly see your expertise within the work you write. The sector hopes for more passionate writers such as you who are not afraid to say how they believe. Always follow your heart. Great ¡V I should definitely pronounce, impressed with your website. I had no trouble navigating through all the tabs as well as related info ended up being truly easy to do to access. I recently found what I hoped for before you know it at all. Reasonably unusual. Is likely to appreciate it for those who add forums or something, web site theme . a tones way for your customer to communicate. Excellent task.. I really like looking through a post that can make men and women think. Also, thank you for permitting me to comment! Excellent post. I was checking continuously this blog and I am impressed! Very useful info particularly the last part 🙂 I care for such info a lot. I was seeking this particular info for a very long time. Thank you and good luck. I have been exploring for a little bit for any high-quality articles or weblog posts in this kind of house . Exploring in Yahoo I finally stumbled upon this site. Reading this info So i am glad to exhibit that I’ve an incredibly excellent uncanny feeling I found out just what I needed. I most indubitably will make sure to don¡¦t overlook this site and give it a look regularly. you are truly a good webmaster. The website loading speed is amazing. It seems that you’re doing any distinctive trick. Furthermore, The contents are masterpiece. you have performed a great process in this matter! I’m still learning from you, but I’m trying to achieve my goals. I certainly enjoy reading everything that is written on your website.Keep the aarticles coming. I liked it! Magnificent website. Lots of useful info here. I¡¦m sending it to some pals ans additionally sharing in delicious. And of course, thank you for your effort! I blog frequently and I really appreciate your information. This great article has truly peaked my interest. I’m going to take a note of your site and keep checking for new details about once per week. I subscribed to your RSS feed too. Good post. I learn something new and challenging on sites I stumbleupon on a daily basis. It will always be exciting to read articles from other authors and use something from other web sites. It¡¦s really a nice and helpful piece of info. I am glad that you simply shared this helpful information with us. Please keep us up to date like this. Thanks for sharing. Spot on with this write-up, I absolutely feel this amazing site needs far more attention. I’ll probably be back again to read more, thanks for the information! Thank you for any other magnificent article. The place else may anyone get that kind of information in such an ideal means of writing? I have a presentation subsequent week, and I am on the search for such info. I’m amazed, I must say. Seldom do I encounter a blog that’s equally educative and interesting, and let me tell you, you’ve hit the nail on the head. The problem is something that too few men and women are speaking intelligently about. I’m very happy I came across this in my hunt for something relating to this.